As we know, for disposing the wastage and garbage the metal dustbin are much more used by the people but now slowly-slowly it's no longer useful because of rust. 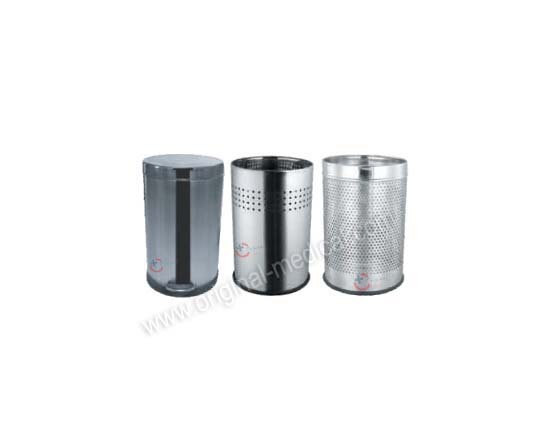 That ‘s why now gradually the stainless steel dustbins are being used in various places because they are not likely to rust and they are durable and good at seeing. As a leading medical equipment and product manufacturer and supplier in India we offer international standard quality based products here at Original Medical Equipment Company pvt.ltd. We also deal in this most useful hospital furniture product Stainless Steel Dustbin or Garbage bins. Not only in hospital, they are also used in schools, offices, homes and many other public places. According to our client's need here we have lots of size and design of this medical recycle been like, bio medical waste bins, dustbin with lid, pedal bins, dustbin with cover, dustbin without cover, open bins, indoor/outdoor garbage bin and many more. If you are searching for any types of trash dustbin in a bulk quantity for your hospitals, clinics, offices, medical institutes and other places then you are right place here at OML.